The AlcheMystic Woodcut Tarot is made up of woodcuts from books written between the 16th to the 19th centuries and includes the works of Christian Mystics, Alchemists, Kabbalists, and Magicians of those time periods. A Woodcut is a relief printing technique that was used in the past to print images. The four suits of the Alchemystic Woodcut Tarot deck are based on the philosophies of various authors, and have been divided into the suits of Mystics, Mages, Alchemists, and Shekinah. The symbolism in this deck can be used as an effective means of spiritual contemplation to augment one’s spiritual development. The ‘AlcheMystic Woodcut Tarot’ represents the spiritual contemplations of numerous individuals over several centuries, and over a period of thousands of years. The philosophies, artwork, and symbolism reflect the efforts of mystics, alchemists, magicians, and truth seekers as they sought to understand God by studying the Secret Wisdom of the Ages. The Alchemystic Woodcut Tarot deck comes with an accompanying book that references the artwork and provides insight into the associated philosophies. However, this video is not meant to provide a walkthrough or review of the deck, but instead seeks to use the Alchemystic Tarot to explain the concepts within the Secret Wisdom of the Ages, such as Alchemy, the Kabbalah, and the Tarot. 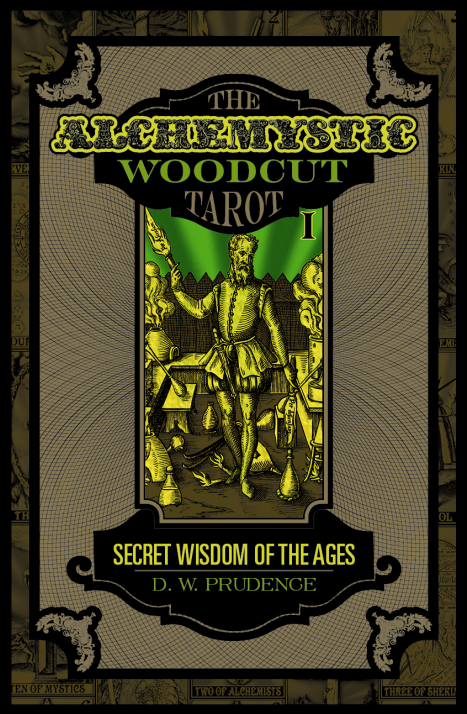 The following video provides and overview of the AlcheMystic Woodcut Tarot: Secret Wisdom of the Ages #AlchemysticWoodcutTarot.The deck is made up of woodcuts by various authors that were published between the 16th and 19th centuries. It includes the suits of Mystics, Mages, Alchemists, and Shekinah. It explores the secret wisdom that was concealed over those centuries, which provided the foundation of modern occultism and new age philosophies. This is a short video designed to provide an overview of the deck and to lay the ground work for future videos, which will use the AlcheMystic Woodcut Tarot to explain the history and connections between the Tarot, Kabbalah, and Alchemy. This video provides a background and history on the Tarot and the Kabbalah, and shows how they are related. The video uses the AlcheMystic Woodcut Tarot to teach the Secret Wisdom of the Ages, which was hidden within the philosophies of Christian Mystics, Alchemists, Kabbalists, and Magicians during the Medieval times and the Renaissance. It covers the Key to the Tarot used by Eliphas Levi, Papus, and A. E. Waite. It describes how the Tarot and Kabbalah can be used as a system of spiritual development, and as a means of understanding God and the mysteries of the universe. It covers the structure of the 78 card Tarot deck, and how to read the Pip cards based on the Tetragrammaton. It describes the foundational principles of the occult Tarot, and how they are inseparably linked with the Kabbalah. This video uses the AlcheMystic Woodcut Tarot and other images/decks to explain the History, Theory, and Practice of Western Alchemy. It discusses the roots and development of various philosophies, which came together and formed into both a function system of Spiritual Development and a method of transmutation within the animal, mineral, and vegetable kingdoms. The video provides an overview of the history and theory, and then demonstrates the physical processes using Fractional Distillation and Soxhlet Extraction.